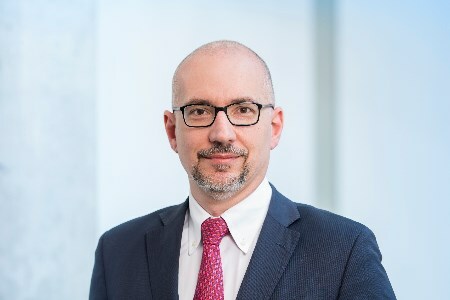 HIMA Paul Hildebrandt GmbH has appointed Fabio Lodigiani as head of the Safety Services business segment. As Group Vice President Safety Services, Fabio Lodigiani manages and co-ordinates the company’s worldwide service activities. HIMA’s lifecycle management and services are concentrated in the newly positioned Safety Services business segment. The aim is to further expand the services portfolio by structural and staff upgrades, enhance the clarity of external communications, and develop innovative services. Fabio Lodigiani reports directly to Sankar Ramakrishnan, CEO of the HIMA group. Fabio Paolo Lodigiani received a degree in electronic engineering from the Polytechnical University of Milan. After completing his studies, he initially worked for various Italian manufacturers active in the automation, software and hardware sectors. In the subsequent six years, Fabio Lodigiani held operational and strategic management positions in sales at E.ON Energy in Milan. Following that he worked in various management positions in the sales organisation of leading cable manufacturer NKT Cables for nine years. His most recent position there was Senior Vice President Asset Management, with worldwide responsibility for onshore and offshore services for high-voltage systems. 2018 is a special anniversary year for HIMA. For many decades, the safety specialist – founded in 1908 – has played a major role in shaping safety standards and has driven innovations to develop the market for industrial safety. Drawing on 110 years of experience, HIMA develops solutions for the digital industrial age and is ready for the challenges of the future.